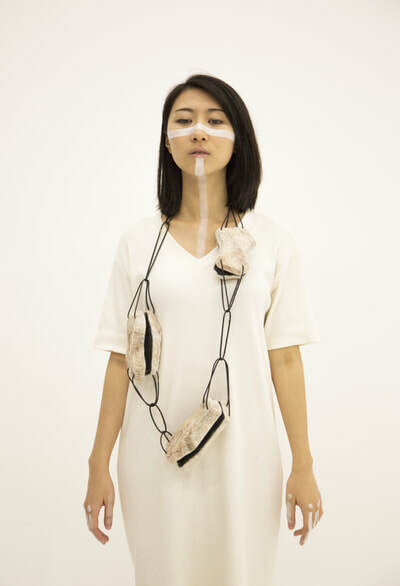 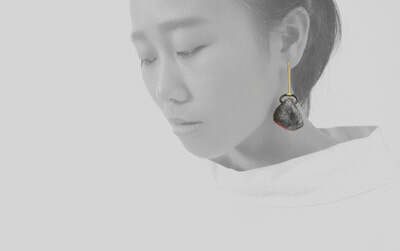 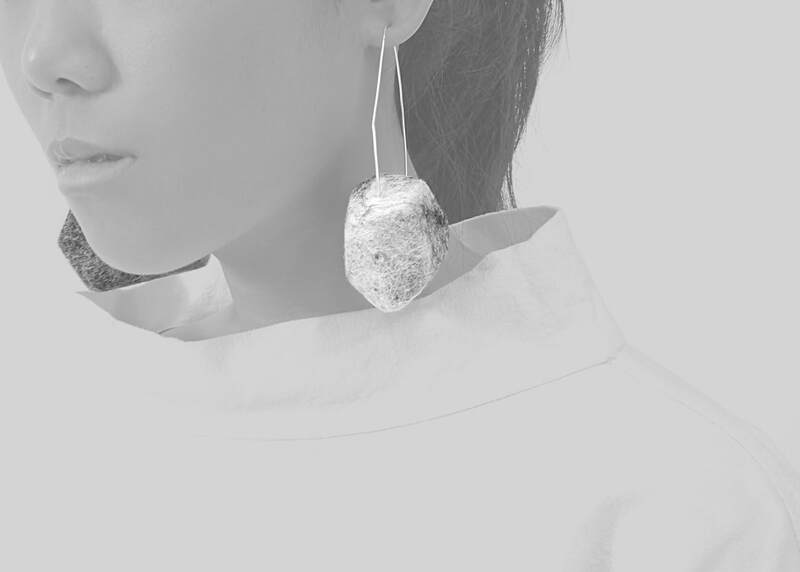 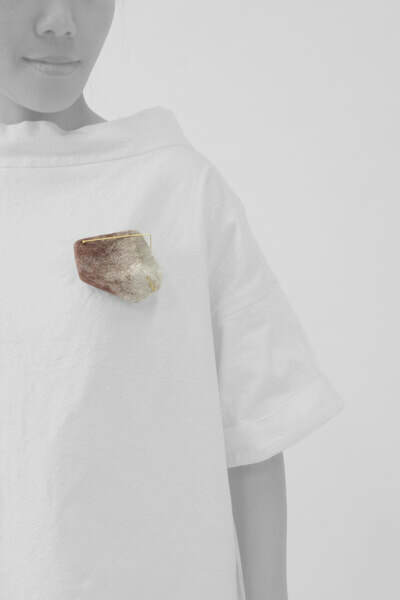 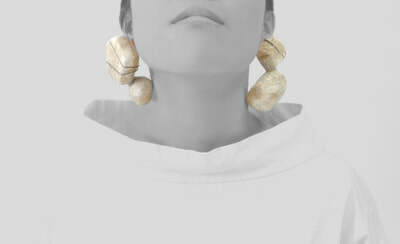 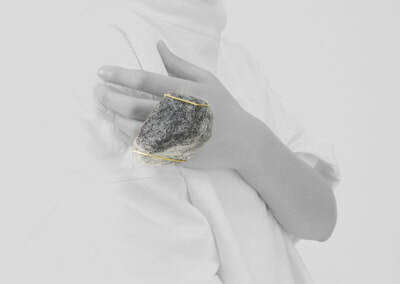 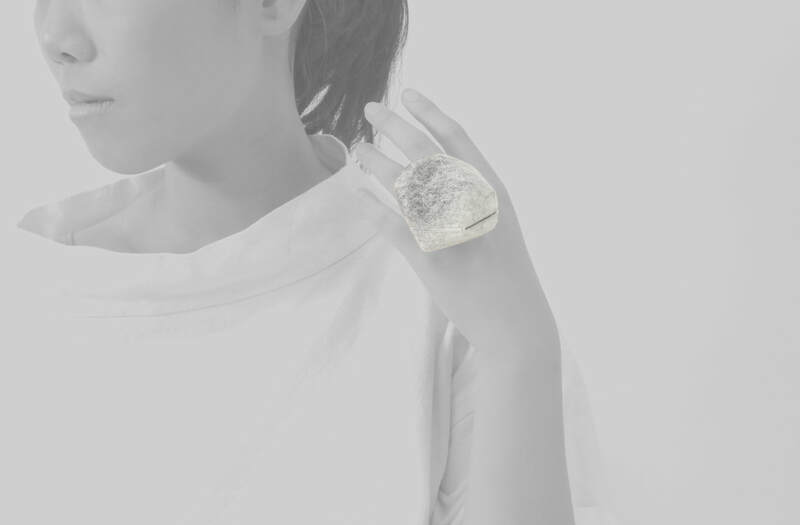 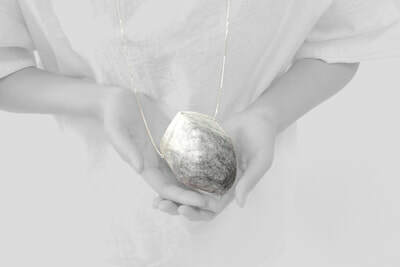 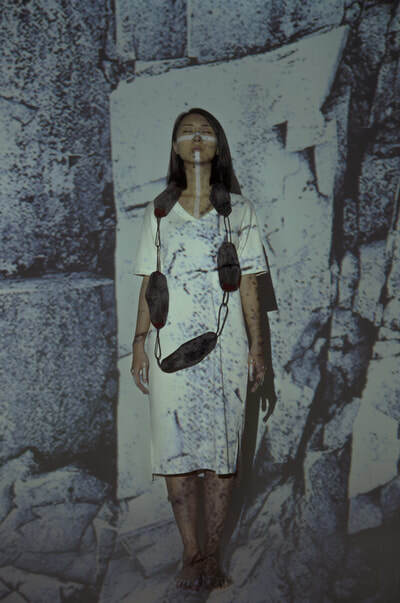 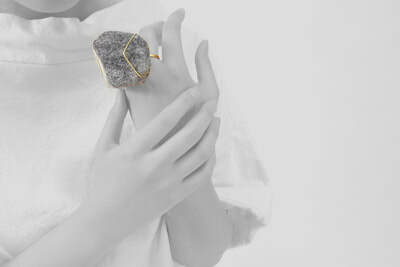 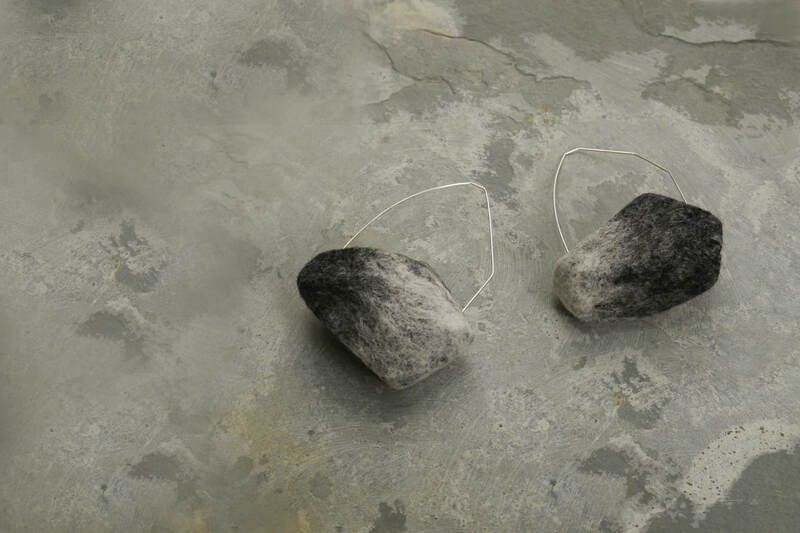 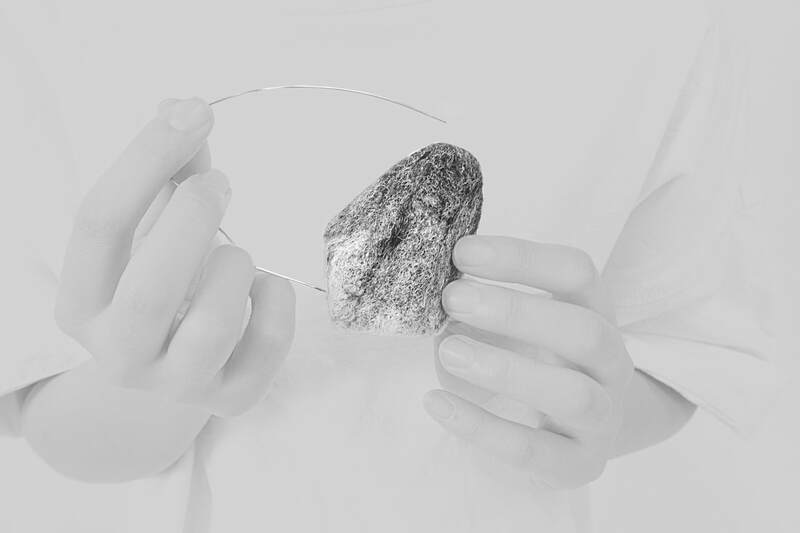 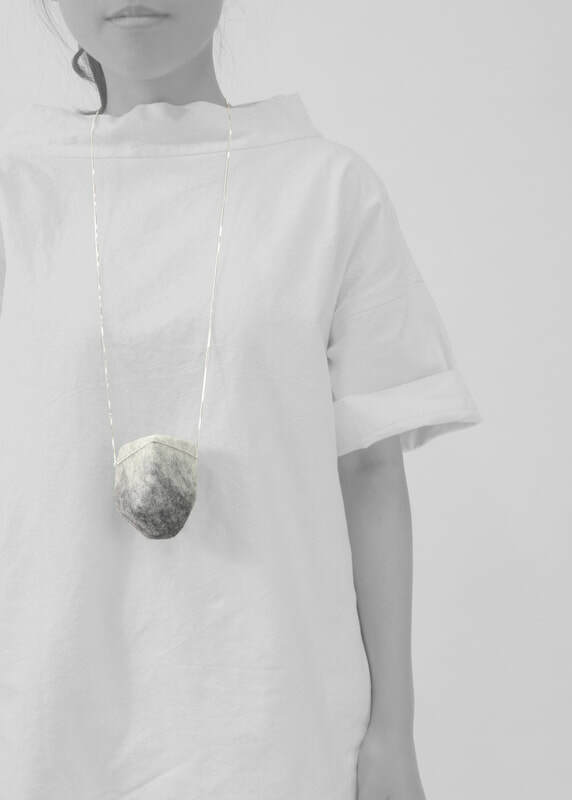 My collection explores the ancient, original relationship between rocks and human beings. 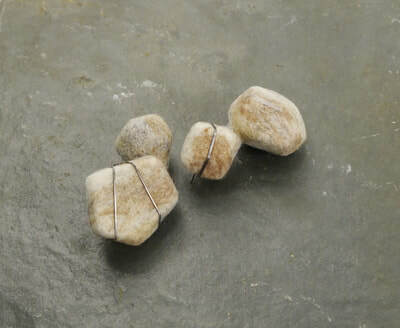 Looking back in time, at the beginning of human kind, there was a bond between stones and people. 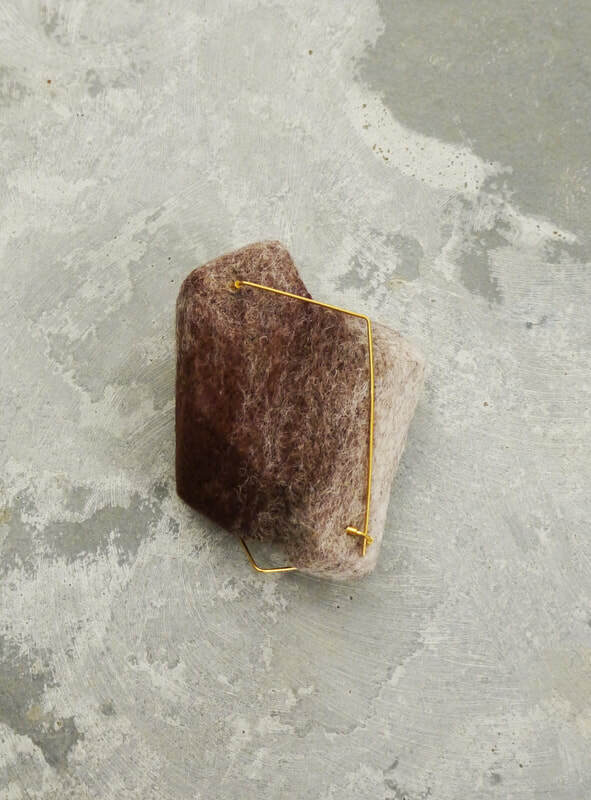 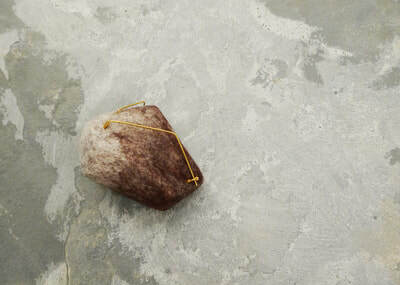 Rocks were used as weapons for protection, as mark making instruments, and as tools for creating objects. Stones connect us with our past and our fundamental role as makers. 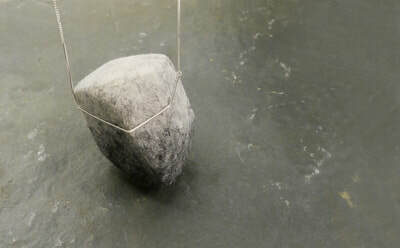 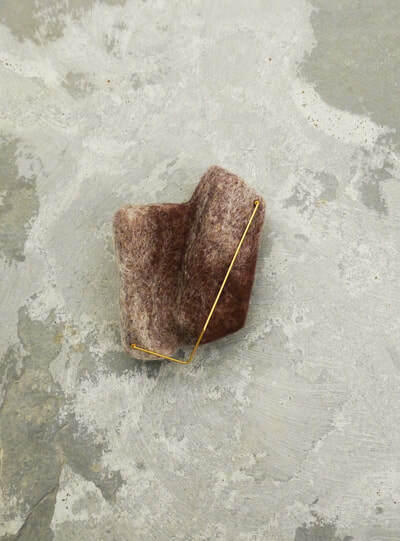 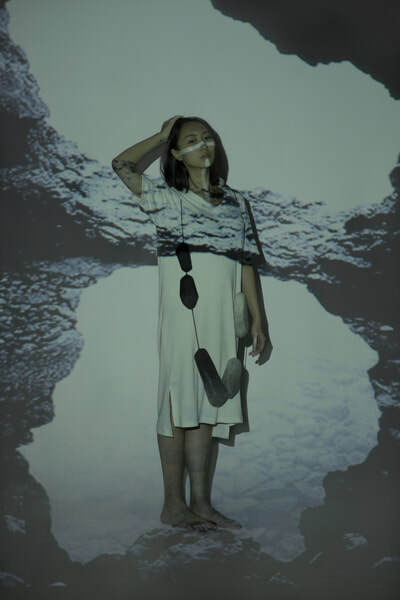 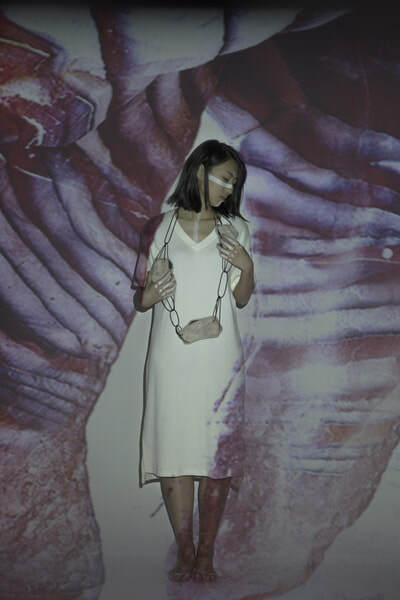 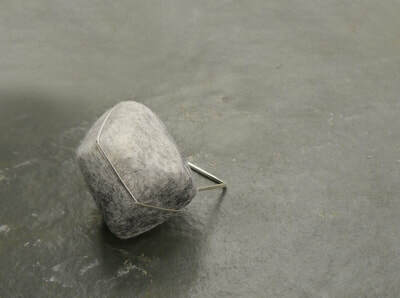 My pieces explore this triangular relationship between the artist, the tool and the material. 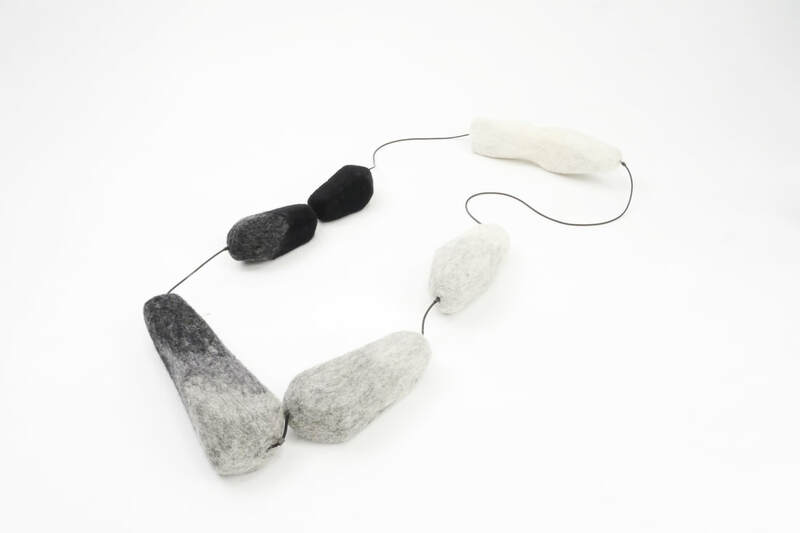 Wool felt is considered to be the oldest known textile, which was widely used in clothing, rugs and tents. 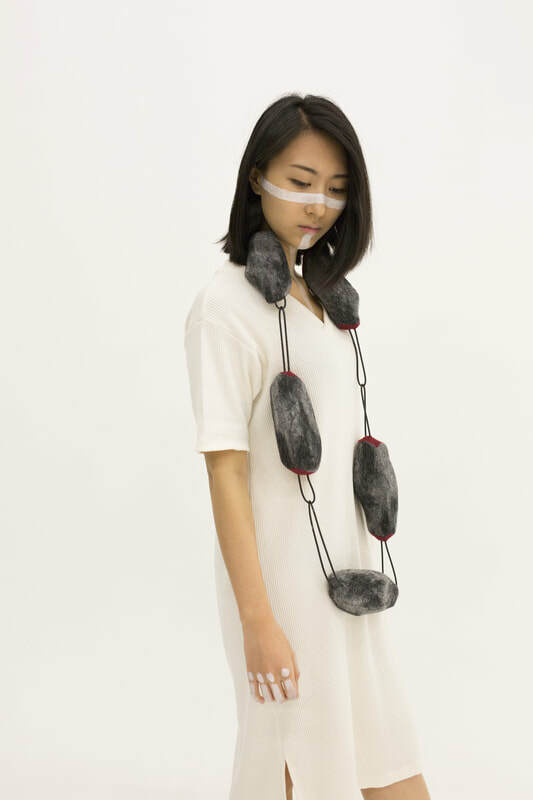 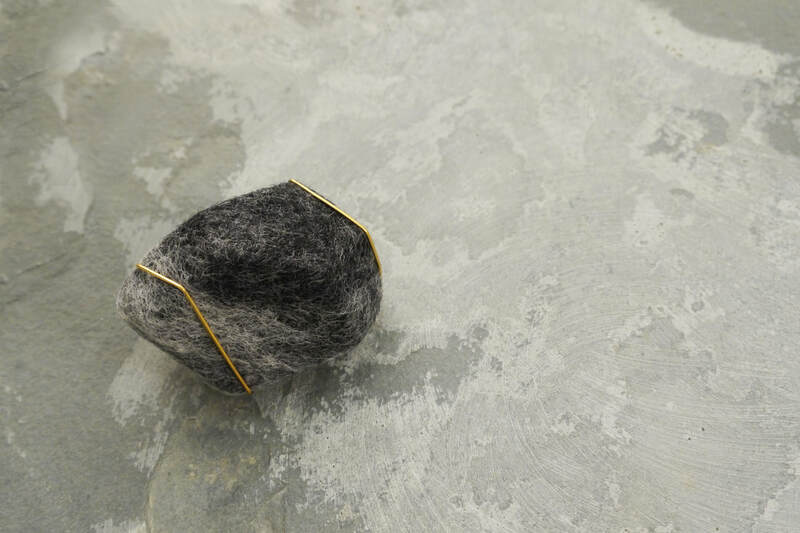 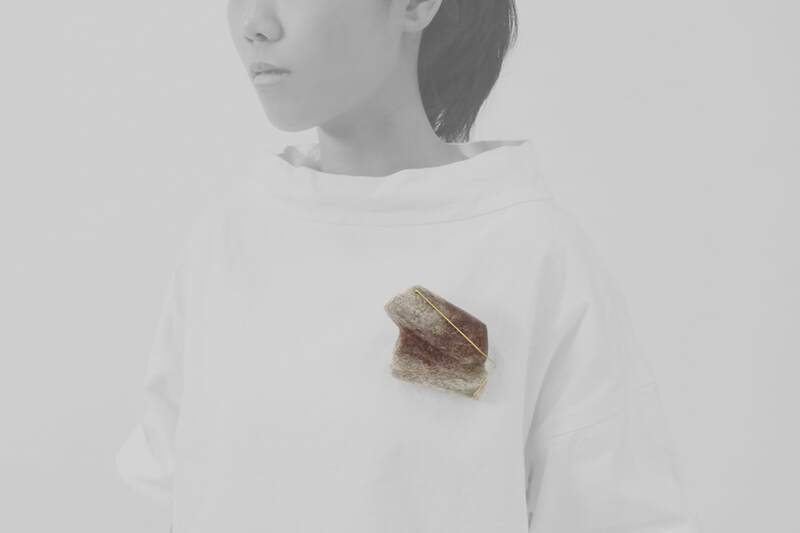 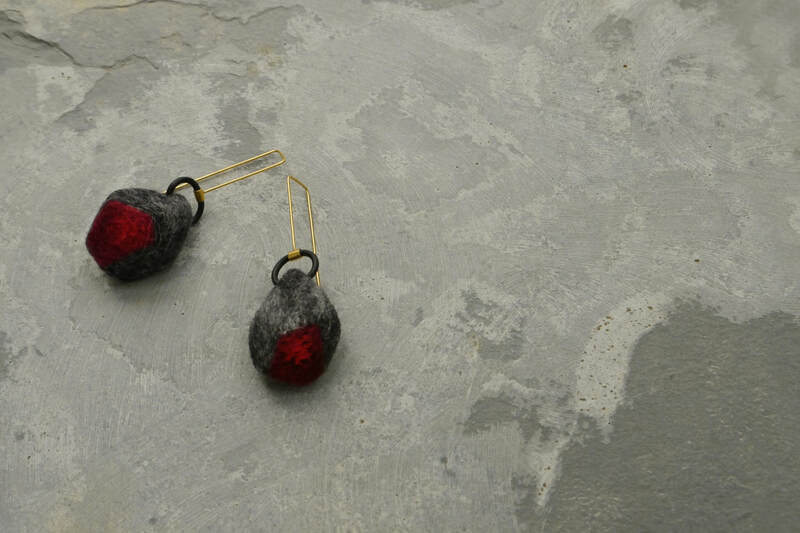 Just like rocks, felting is close to the life of humans from ancient times. Although wool and rocks produce an opposite sense of touch and vision, they both, in different ways, suggest protection. 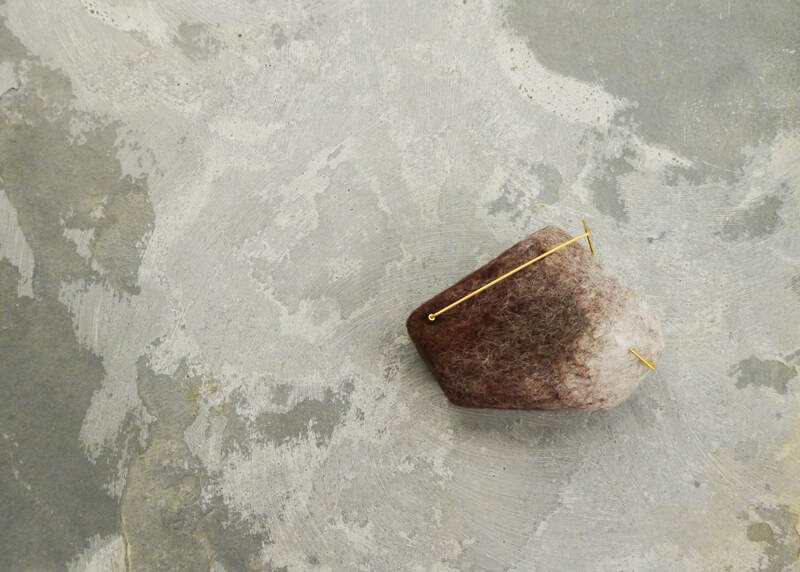 At the same time, I believe that the neutral colours of rocks create a restful, calm and cooling effect that I wish my audience will perceive. 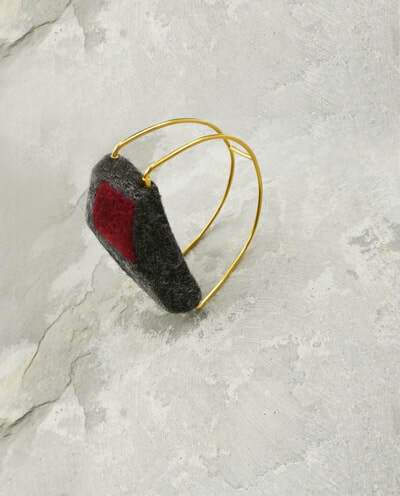 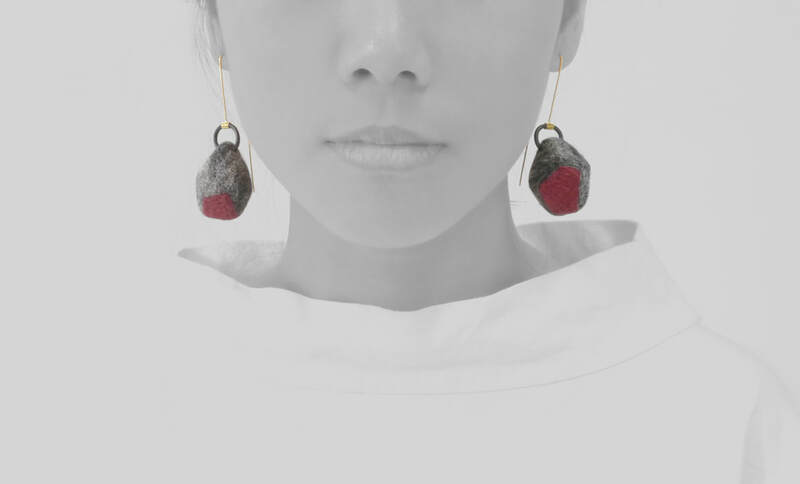 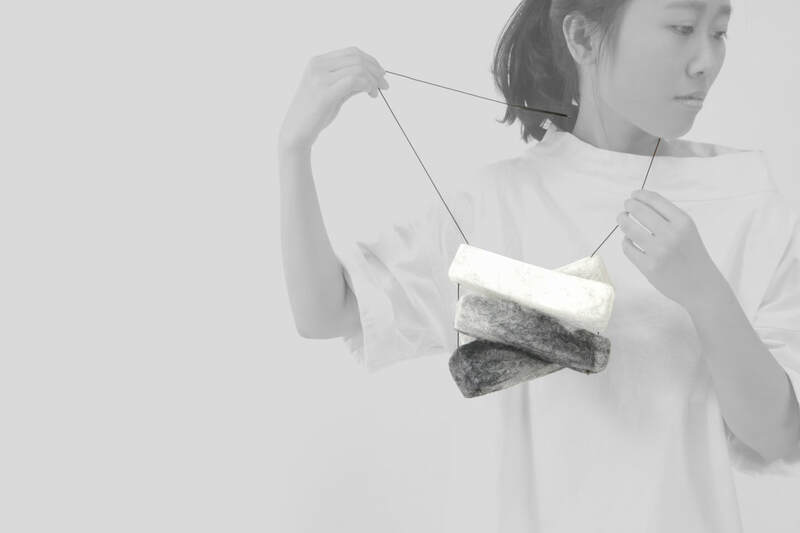 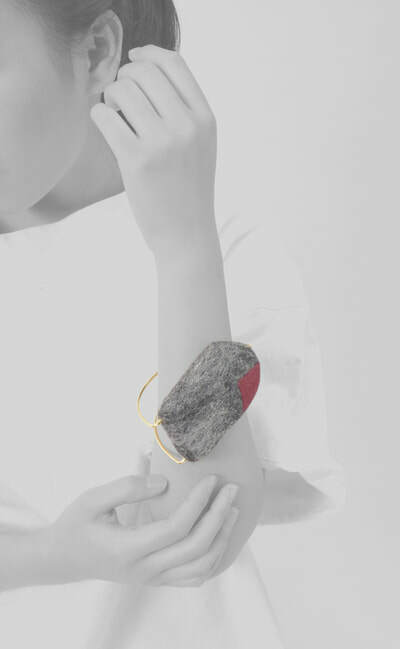 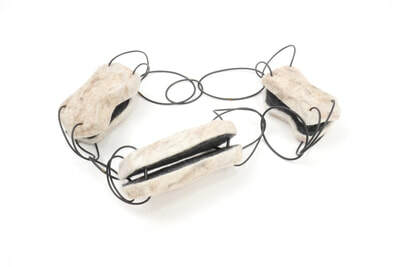 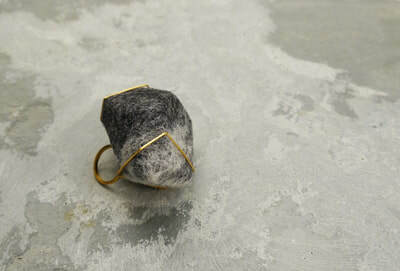 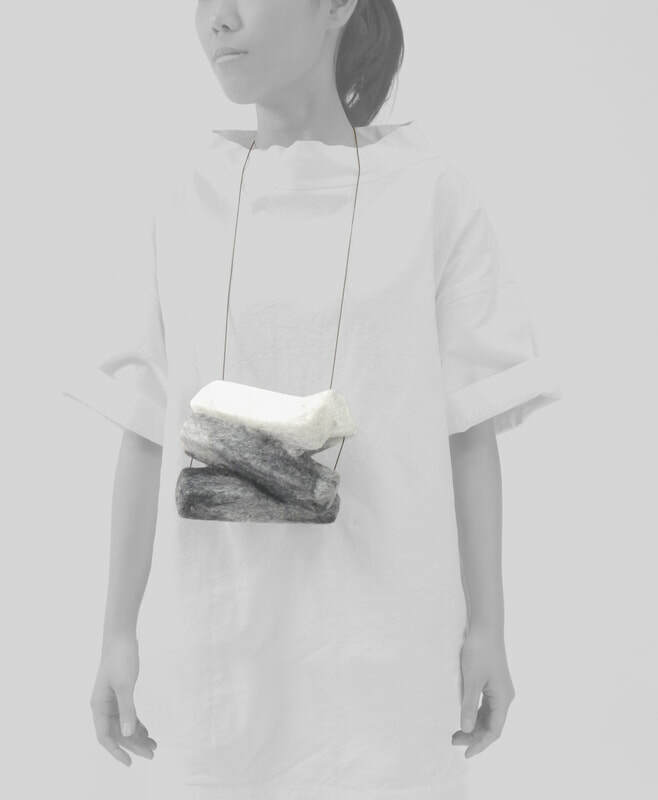 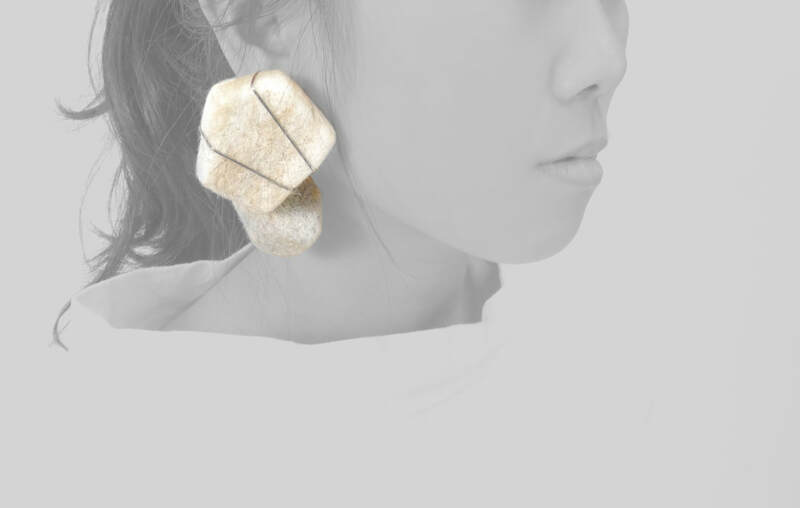 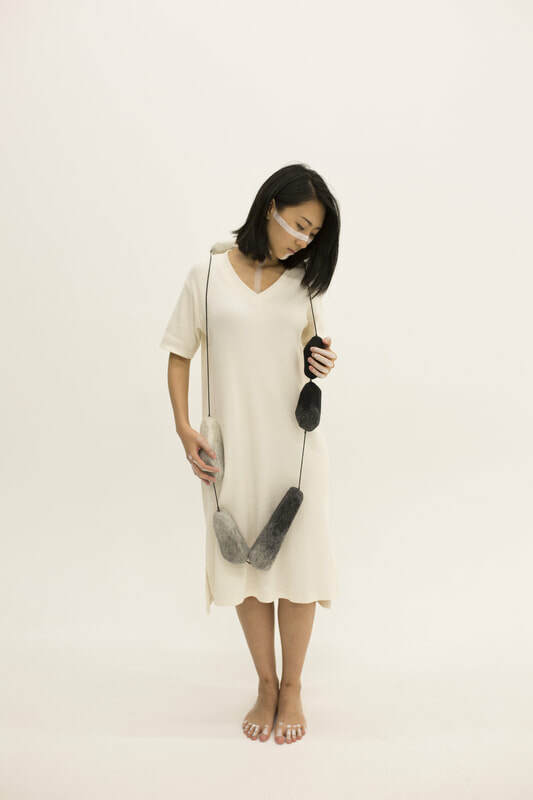 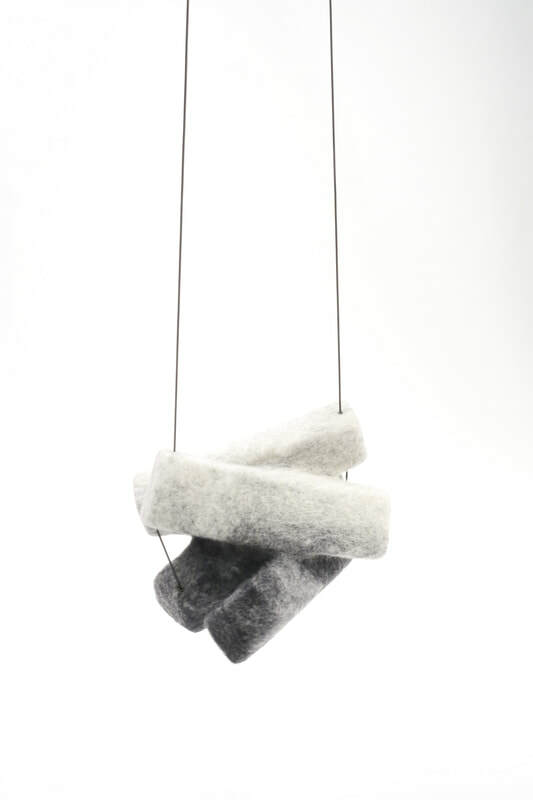 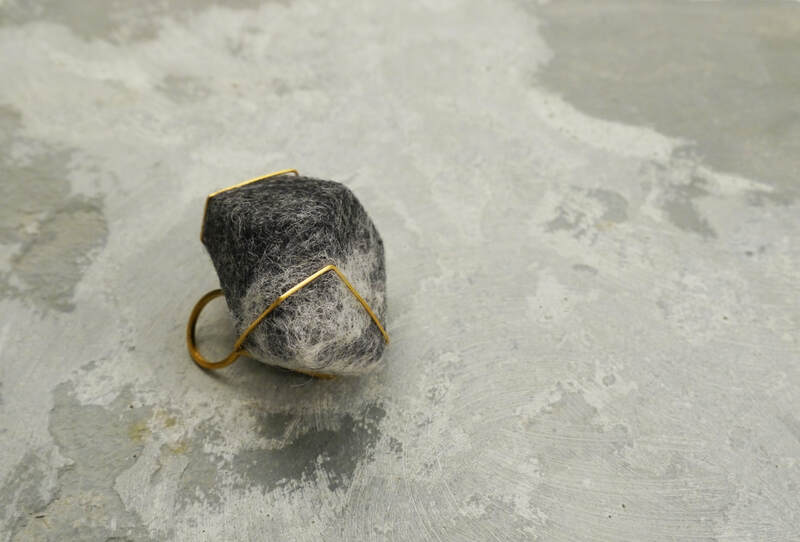 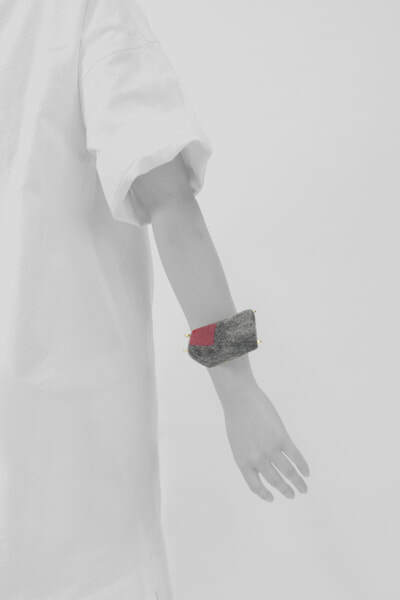 I choose wool to be my main material as its softness allows me to create hard and geometric rock shapes. 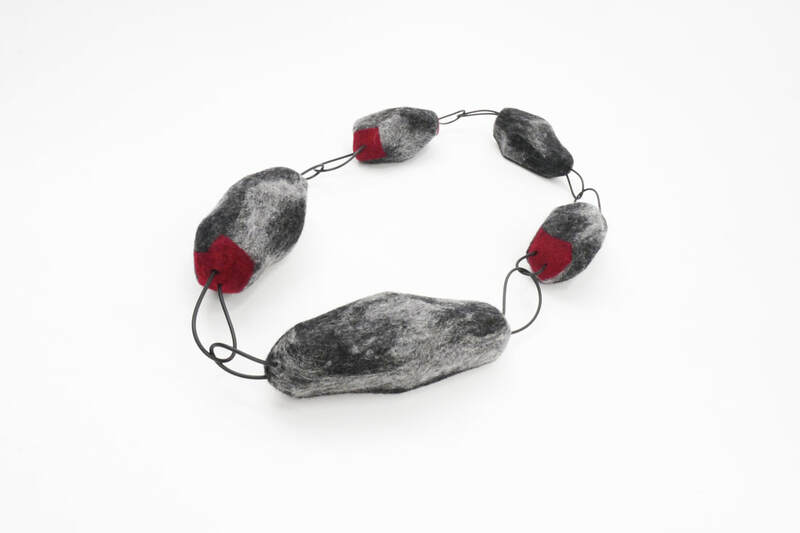 The aim of my collection is to attract the viewer to an amusing contrast between sense of touch and vision, materials and shapes, line structures, and solid forms.